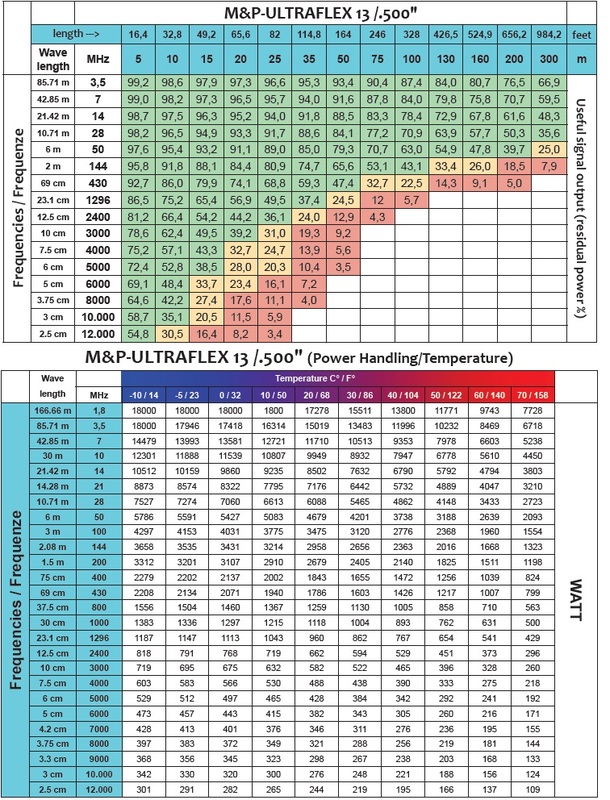 UltraFlex 13, PL-259s, 3ft has a high-resistance copper screen made by means of a 24-spool braiding machine, generating 50% more crossovers compared to traditional 16 spool machines. This braid is highly effective against low frequency impulsive noises, with a screening percentage of 70%. It also has a high pressure physical injection foam polyethylene triple layer dielectric. The copper foil has an applied PE-coating, placed in order to prevent foil cracking due to short-radius bends, with a screening potential of 100%. 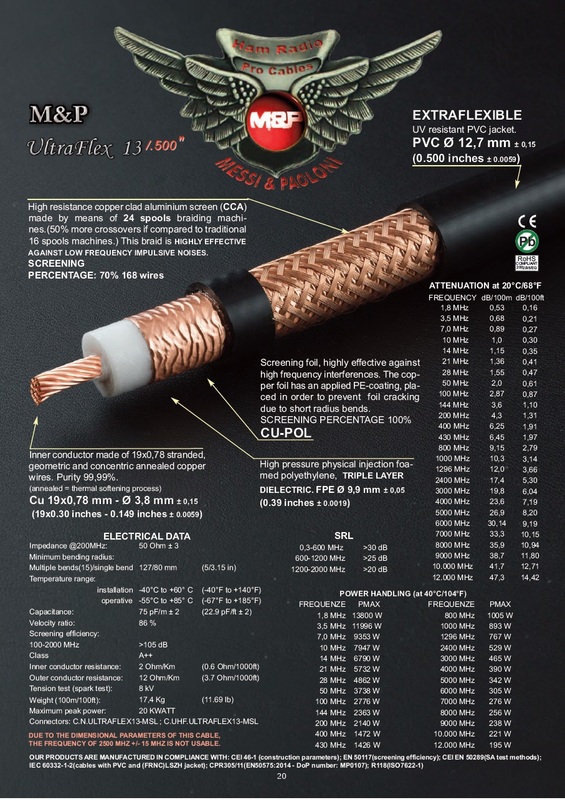 The inner conductor is made of nineteen .78mm stranded geometric and concentric annealed 99.99% pure copper wires. 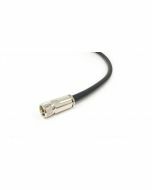 This Extra Flexible coax also has a UV-resistant PVC jacket.